Providing you the best range of valve handle, ball valve handles and butterfly valve handle with effective & timely delivery. With rich industry experience, we are counted as the leading manufacturer, exporter and supplier of a vast gamut of Handle for Valve . This range is designed using high quality stainless steel, under the strict supervision of our quality experts. In order to accomplish diverse requirements of our esteemed customers, we offer this range in numerous sizes, designs and other related specifications. Clients can avail the offered range from us at market leading prices. With rich industry experience, we are counted as the leading manufacturer, exporter and supplier of a vast gamut of Handle for Valve. This range is designed using high quality stainless steel, under the strict supervision of our quality experts. 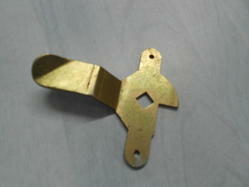 We are a leading Manufacturer of Butterfly Valve Handles, In Ahmedabad, India. 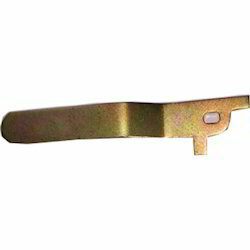 We also make handles as per customers requirement. Looking for Handles for Valve ?